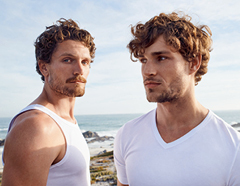 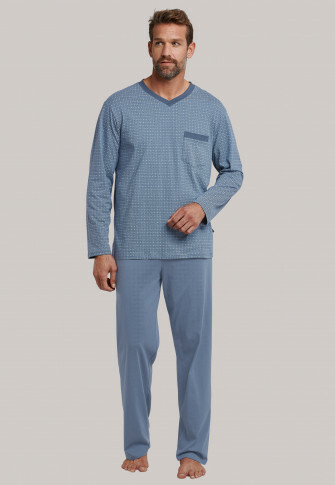 With these men's pajamas, maximum comfort is written in capitals; thanks to the soft single jersey in 100% cotton, this two-piece set is particularly comfortable. 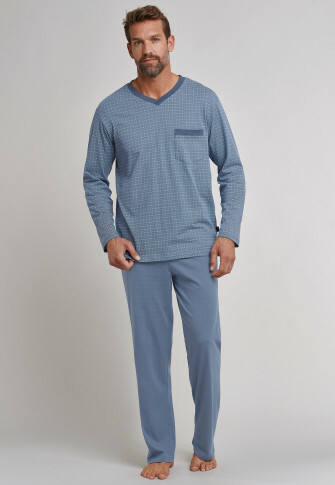 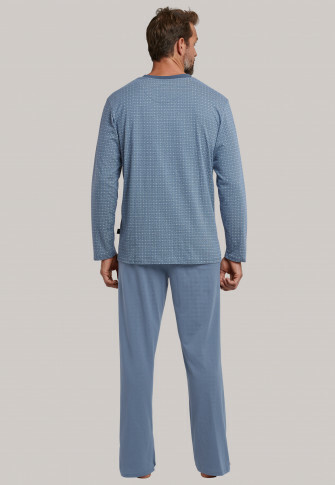 The indigo blue top with v-neck underscores the classic character of these pajamas with its graphic pattern in light blue and gray and the breast pocket and is complemented perfectly by the indigo blue pants. 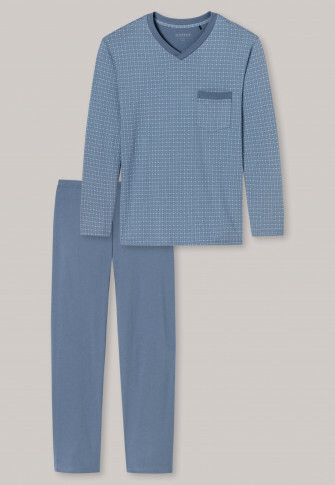 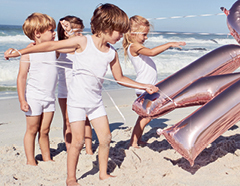 Just the thing for relaxed nights in the best SCHIESSER quality - also available in special sizes!